Natural Gas Company Backs Carbon Tax That Would Cost It Millions — Do You? Do you support a carbon tax? Why or why not? 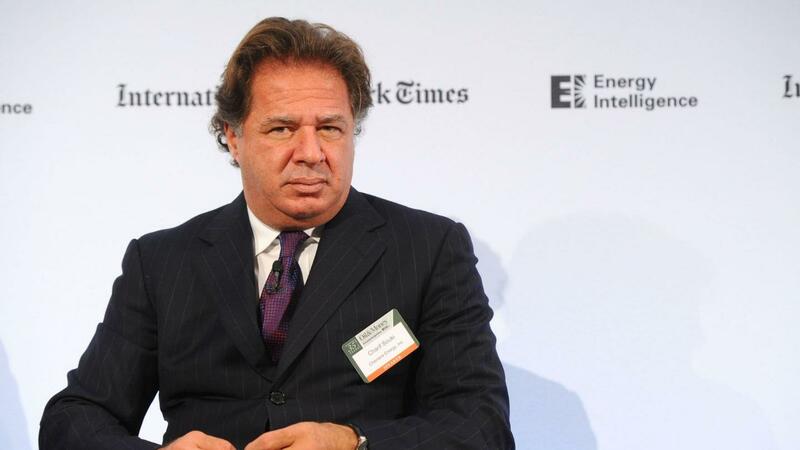 HOUSTON — A carbon tax would cost natural gas export company Tellurian Inc. hundreds of millions of dollars, but the company's founder is still backing the policy. Driving the news: The Houston-based company has done internal modeling showing projected costs on its operations from a carbon tax, which at roughly $200 million a year would be “significant,” says co-founder Charif Souki. Tellurian announced last week it was donating $2 million to Columbia University’s Center on Global Energy Policy to research a carbon tax and related policies. Where it stands: The 3-year-old company is working to build an export terminal in Louisiana backed by its own gas resources and pipelines that allows partners to gain equity — a business model it hopes can ensure cheaper prices than competitors. It's projected to begin operating in early 2023. Souki told me an interview last year that he supports a $40 per ton carbon tax, which is what his company modeled, although he says that ultimately he’s agnostic on whichever policy is able to adequately reduce emissions. Any tax would “affect companies individually, but it’ll be insignificant on the global scale," Souki told me in another interview last week at the CERAWeek by IHS Markit conference in Houston. At least in the short-term, natural gas is likely to benefit from a carbon tax that pushes out coal for electricity, particularly in Asia's growing economies like India, which is poised to become one of Tellurian’s customers. Over time, though, it would also in theory reduce the use of natural gas and oil. By the numbers: Tellurian ended last year with a nearly $126 million loss on roughly $11 million revenue, according to the Houston Chronicle. The Chronicle notes that the results are better than in 2017, when the company had $230 million loss on $5.4 million of revenue. The big picture: Oil and gas companies are increasingly supporting and putting money behind lobbying for a carbon tax, driven by investor pressure and greater public awareness. But it remains a far-fetched idea in Washington for at least the next couple of years, with President Trump in the White House, Republicans controlling at least one chamber of Congress, and Democrats focused on the Green New Deal, which as of now doesn’t include an explicit price on emissions. Reality check: It’s easier for companies to absorb new taxes than it is for individual consumers, partly because companies often pass along those costs to consumers. That’s the main argument from Republicans for why they oppose any big action on climate change, although independent modeling — some done by Columbia University — shows that a carbon tax whose revenue is returned to consumers ultimately helps lower-income people.